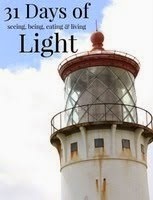 I'm kinda enjoying my "Lakehouse" series of posts. It makes me feel like we are still there! It does amaze me that there is so much, yet so many simple things, to do in the middle of nowhere! 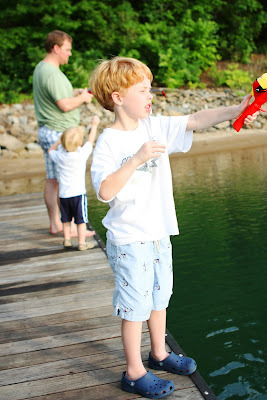 For example, my dad had big intentions of teaching Luke and Charlie how to fish. He bought them fishing poles and proceeded to teach them how to cast. It was quite a dangerous undertaking---or could have been if my Dad hadn't been smart enough to not put a real hook on the poles! With all the flying of lines, if there had been a real hook on their poles, we would have been to the ER (where? i don't know) for sure! Chad got into it too--though really he spent his time trying to untangle Charlie's line--what a mess. . .Charlie worked on doing that too--which didn't really help! The boys, especially Luke, REALLY wanted to catch a fish, but they had to gain control over their poles first. They came close, but it turned out to be a to-be-continued fishing event. 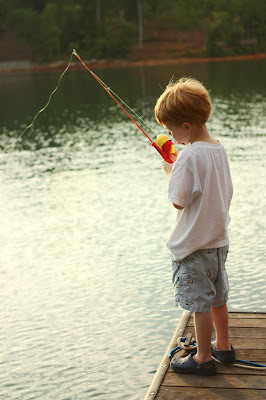 Things learned: fishing requires patience, stillness and one being quiet. Not the easiest things for our little guys at the moment! Hang in there, Lukey--patience is a virtue! 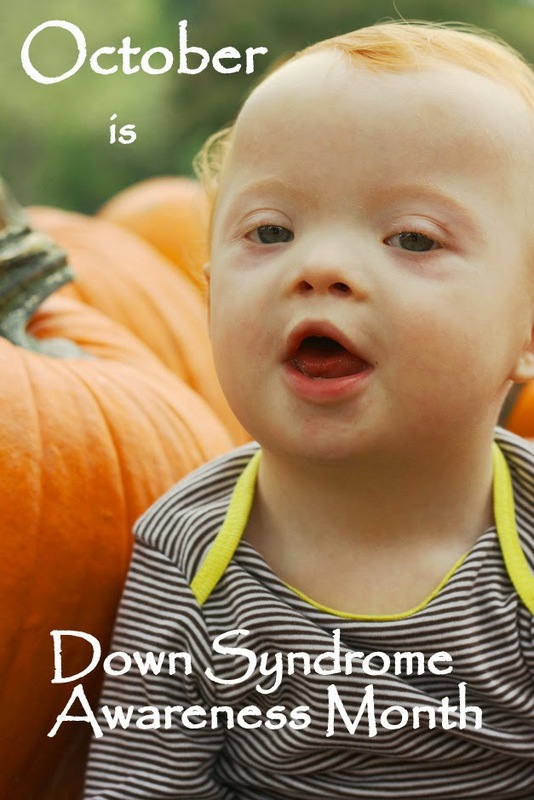 Great pics of the boys. Anyone who fishes knows how great the sport is. 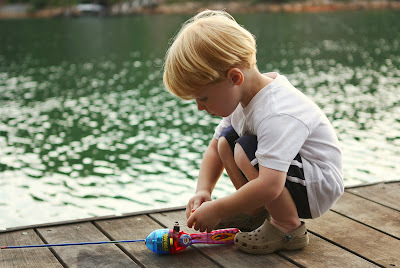 That's why we should all put in the effort when it comes to kids fishing best fishing reel. 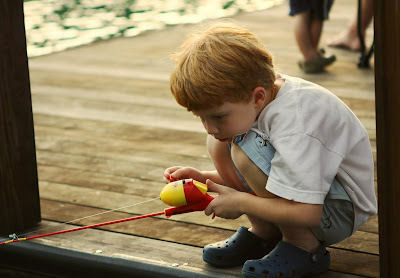 Kid fishing event always have fun and Kids learn there how to concentrate and have patience one most important being quiet :) really enjoyed reading this post,For fishing lovers here is perfect Fishing Social Network YouFishing. The catching of fish is an art without knowing the right method for fish hunting you can’t catch any fish for you, for the successful fish hunting you must require the best fishing equipment which uses for fish catching and from this https://www.buyfishingguide.com/kastking-braid-review/ you can get the latest fishing equipment which is useful for catching the fish.